Jonathan loves three things – chocolate covered pretzels, Ivy Park running shorts, and Game of Thrones. As the final season of Game of Thrones begins, Jonathan gets comedian Bryan Safi in his chair to talk about the latest episode “Winterfell”. The only problem is that Bryan doesn’t watch Game of Thrones, as he reminds Jonathan every season. 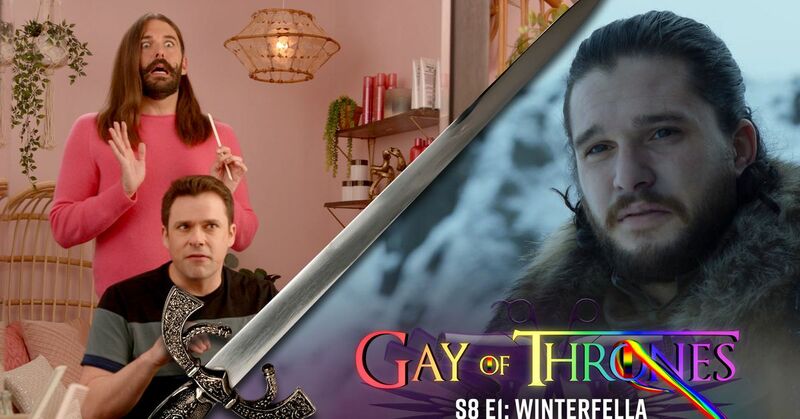 Check out more from Gay Of Thrones’ most recurring guest with his appearances in Season 3, Season 5, Season 6, and Season 7.